Our training is lively, upbeat and thought provoking. Our key focus is on helping people gain and actually apply the tools, skills and behaviours that they seek. We work hard to understand your goals, strengths and needs. We build on the strengths that are already with you and your organisation, and make sure that you feel confident and comfortable using new tools and strategies after we’ve gone. Our clients tell us that our approach goes further and deeper than their previous training experiences, combining a human approach with relevant, memorable, high quality experiences. We work with you to agree clear outcomes. Our participatory approach gives participants the opportunity to explain what really matters to them and reflects the variety of ways in which different people prefer to learn. 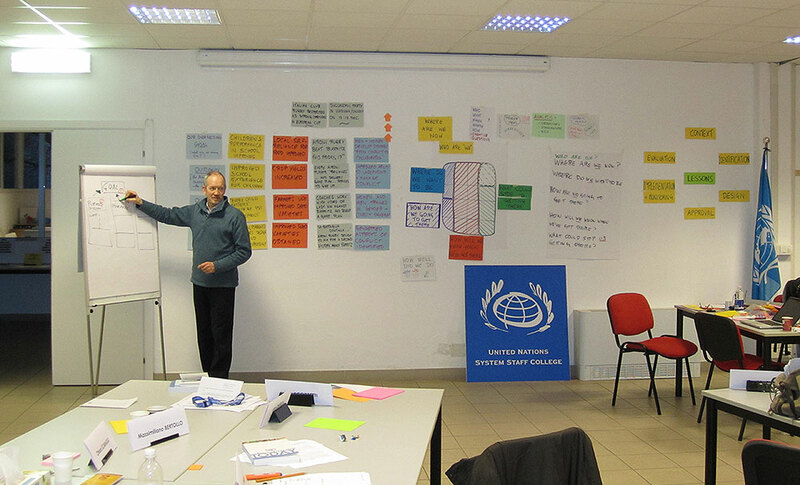 Our trainers’ wide experience allows us to cater to many training needs, from leaders and managers in industry, central banking and government, to environmental groups, residents’ groups, school children and many others. Community partnerships and participatory appraisal. We would be pleased to discuss your needs and design training with you.